The Bombers fought a tough four-set match against Clarkson University in the second round of the NCAA playoffs, but fell to the Golden Knights 3–1. The volleyball team swept the Williams College Ephs on Nov. 13 in three sets to move on in the NCAA Division III Championship Tournament. The volleyball team was crowned the Empire 8 champion after defeating Stevens Institute of Technology 3–0. The Bombers will now move on to the first round of the NCAA Championship Tournament. The field hockey team pushed its winning streak to four games with a 2–0 win over Houghton College on Oct. 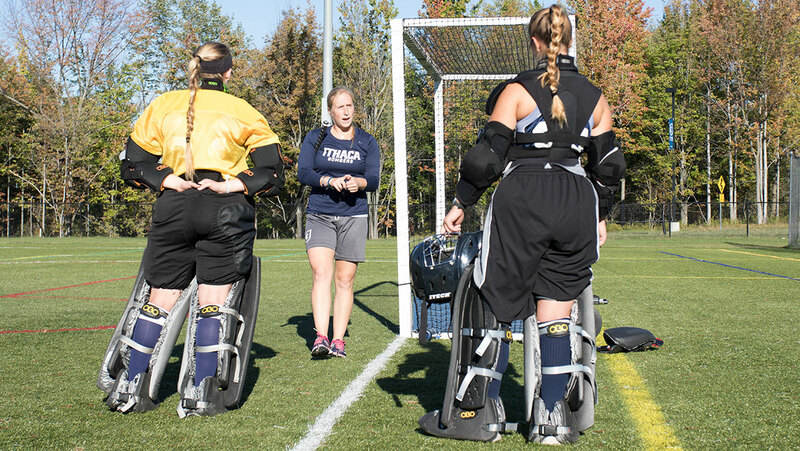 The volleyball team stayed perfect Oct.
Maureen Ordung was hired as the new assistant field hockey coach on July 30 to help coach the team, primarily the goalkeepers. The volleyball team defeated Keuka College 3–0 in a nonconference match Sept. 23 at Ben Light Gymnasium. The volleyball squad defeated St. Joseph’s-Long Island and New Paltz on Sept. 18 to improve to 10–1 on the season.